Both my 8-year old and my 5-year old loved this story! My 6 yo boy and 4 yo daughter enjoyed this immensely, recounting it excitedly to their dad each night at the dinner table. Excellent narration complementing a delightful fast-paced story. The voices, noises and personalities of all the different animals was brought to life -- all so funny and delightful. Apparently this book topped our boxcar children's audio book all because the narrator's gifted, expressive voice and endearing tone. A true treat that made our car drive extra special. This is a riveting story, with many a surprise in the plot; well spoken, great voices for all the characters, and read with much enthusiasm. Great for my kids (aged 4 to 8). 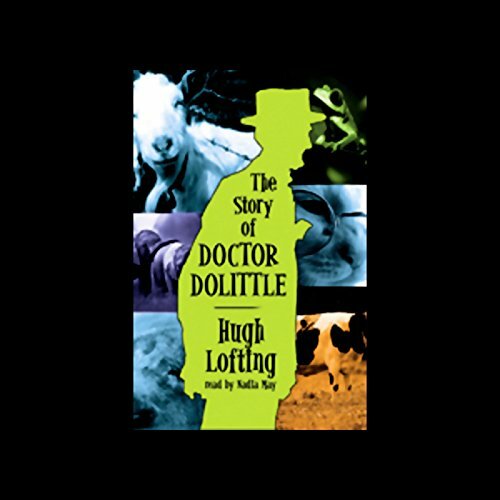 If you could sum up The Story of Doctor Dolittle in three words, what would they be? The animal sound effects made it so entertaining! It really keeps a child's attention! She takes on the characters' voices, adding sound effects for that particular animal! The whole book moved me to tears...of laughter! Great to listen to with young children or grandchildren. Just as fun as I remember it from childhood. The narrator's animal noises are kind of annoying though.